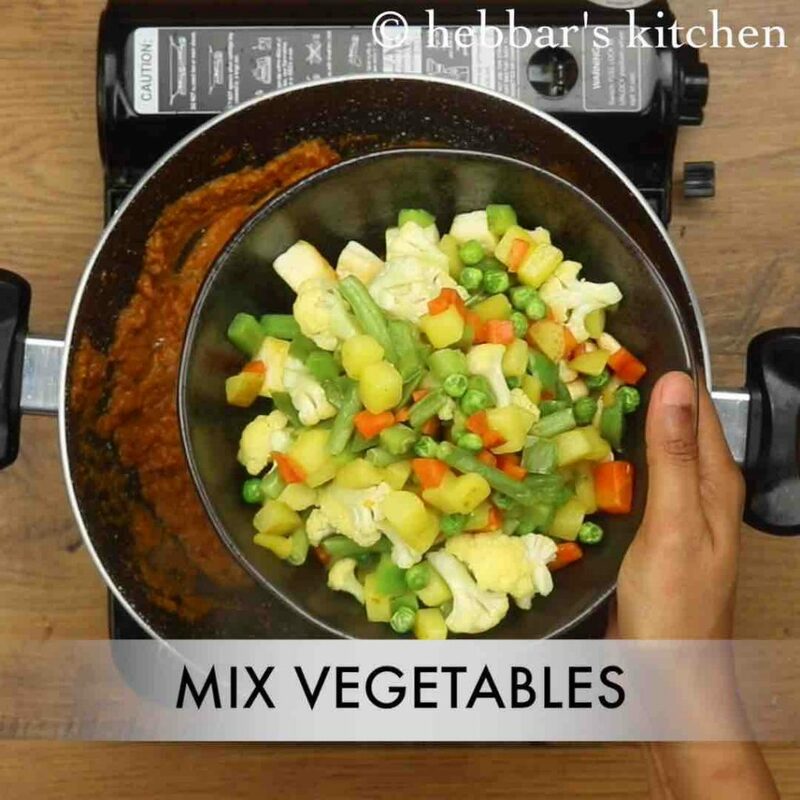 mix veg recipe | mix vegetable recipe | mixed vegetable curry | mix veg curry restaurant style with detailed photo and video recipe. 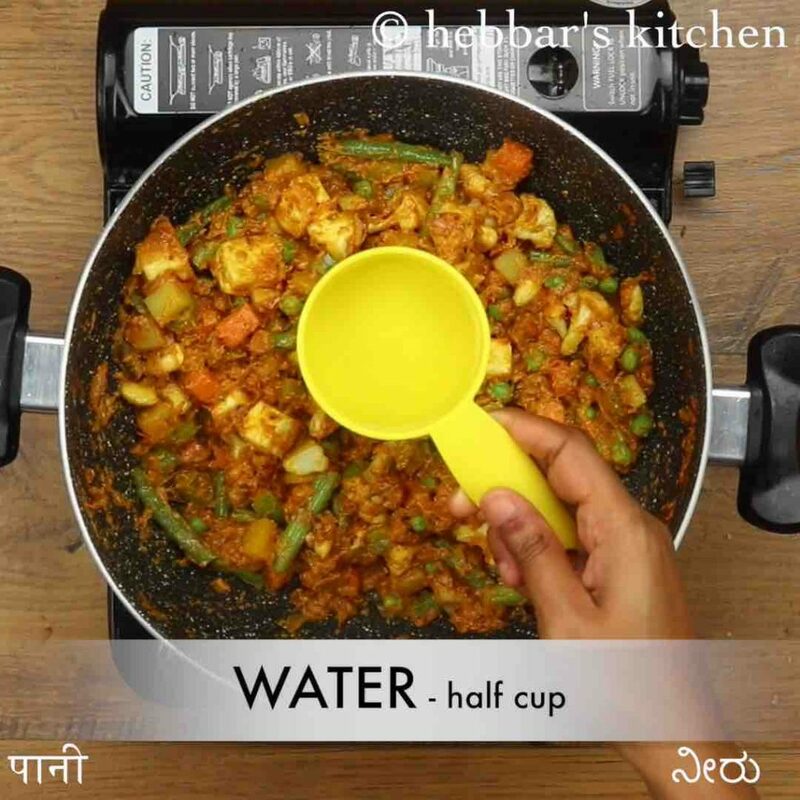 a simple and healthy curry or sabzi recipe prepared mainly with choice of vegetables. it can be ideal north indian cuisine curry recipe for roti or chapati with flavours from all the veggies. the recipe can be prepared with either gravy base or as a dry curry. 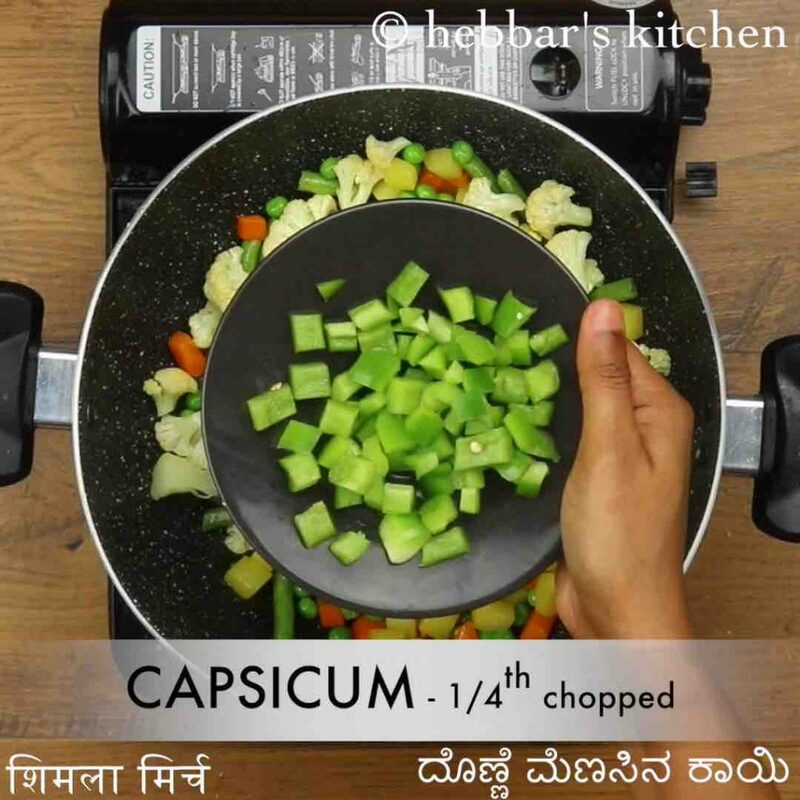 mix veg recipe | mix vegetable recipe | mixed vegetable curry | mix veg curry restaurant style with step by step photo and video recipe. 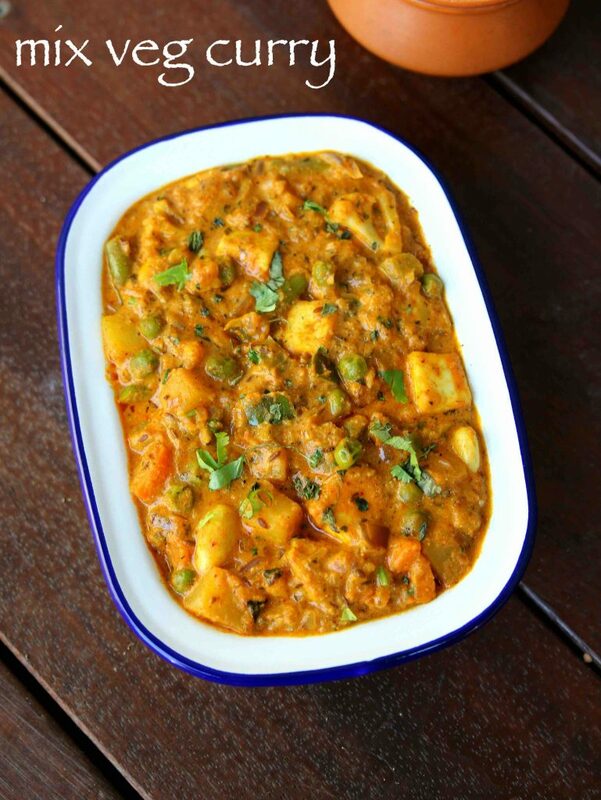 indian curries can be prepared with almost any vegetables or grains as its main ingredients. but there are very few curry recipes with combination of vegetables with all the flavours inclusive. 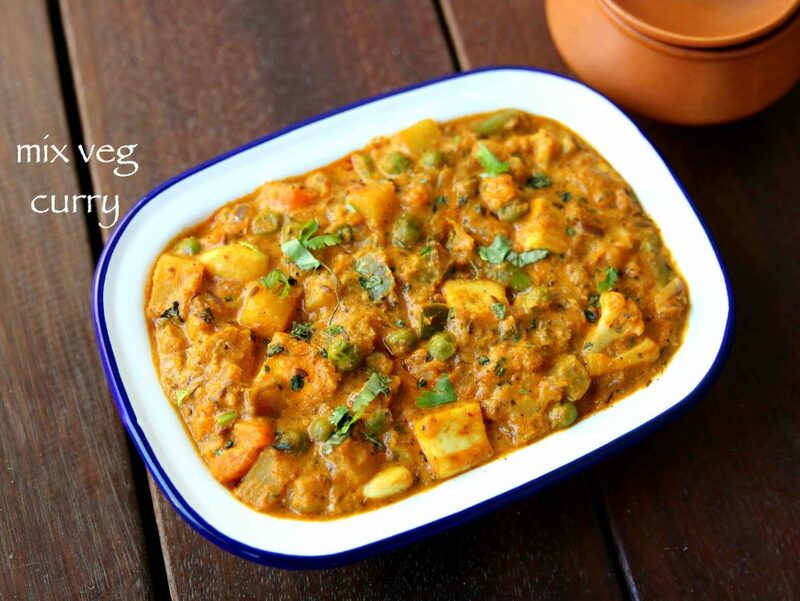 mix veg curry is one such recipe prepared with combination of vegetables and paneer in a single curry. 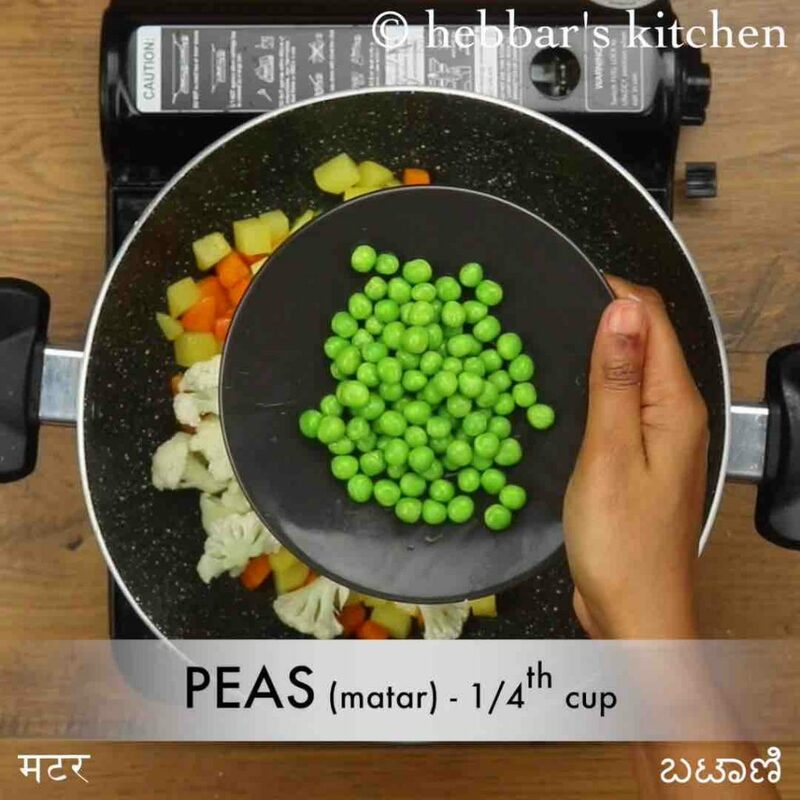 in this recipe of mix vegetable recipe, i have vegetables like, potatoes, capsicum, cauliflower, paneer, carrot, peas and beans. but this recipe is completely open-ended and can be easily extended and mix and matched with other veggies too. for example, vegetables like, mushroom, broccoli, snow pea, tofu and eggplant can also be added as per the individual preference. i have skipped these veggies just to keep it simple and not overwhelm it. moreover, the recipe can be prepared with the desired consistency i.e in a thick curry or perhaps in a dry version. i personally like the semi-thick gravy and hence i have shared the same in this recipe. 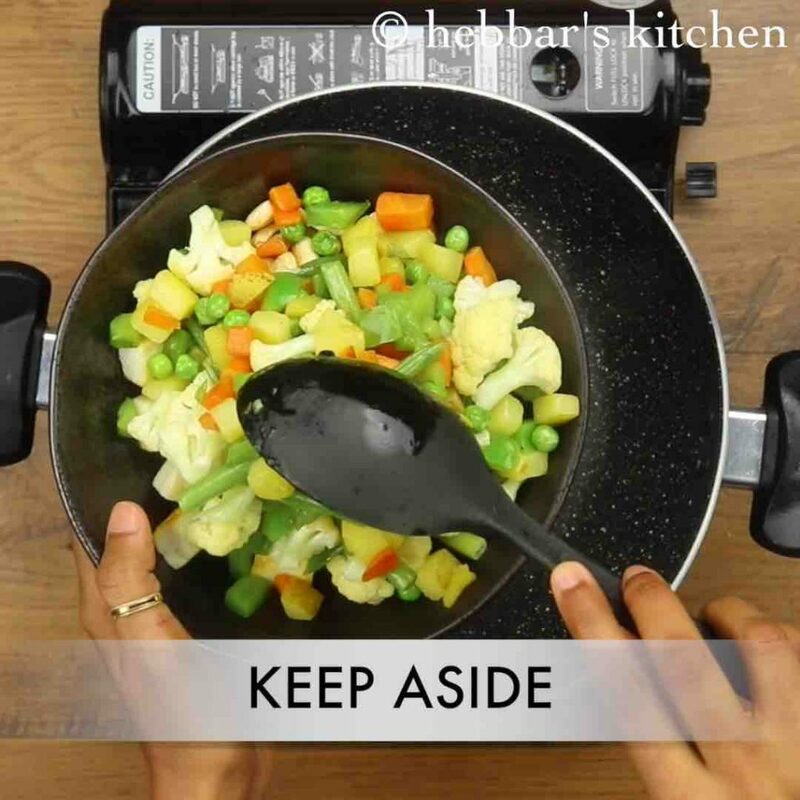 furthermore some tips, recommendations and serving ideas while preparing the mix vegetable recipe. firstly, in this recipe, i have sautéed the vegetables before adding it to the curry. 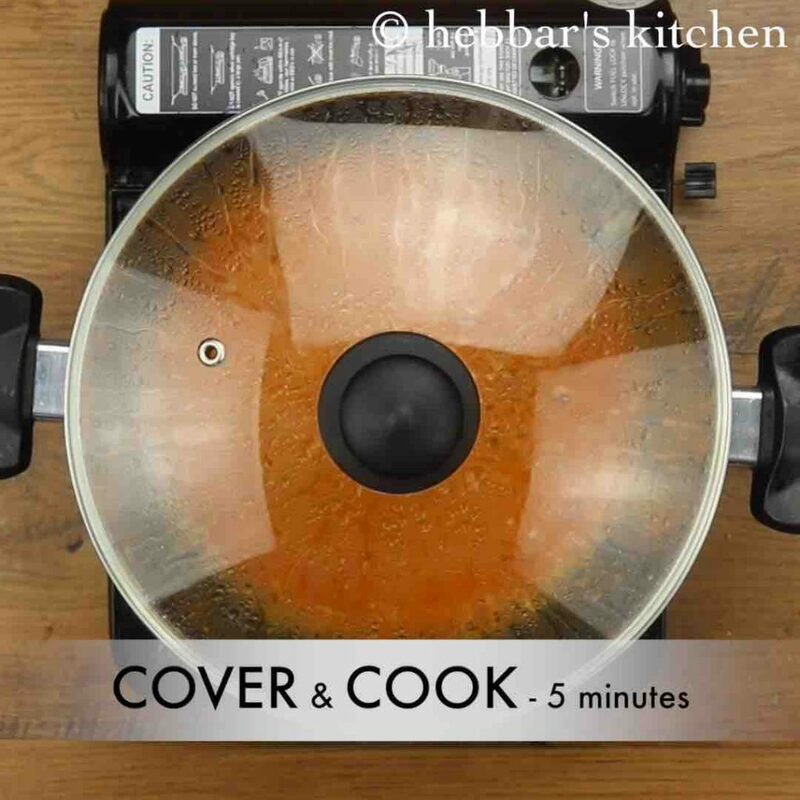 alternatively you can pressure cook the vegetables to hasten the entire process. secondly, i have added whisked yogurt/curd to the onion and tomato gravy for the extra sourness. but this is optional and can be skipped if you do not wish to. also add it accordingly based on your sourness level of the tomato. lastly, you can add choice of dry fruits like cashews, walnuts and even pumpkin seeds to make it more flavorful mix veg curry. firstly heat 4 tsp oil and saute spices. further add spices and 1 tsp salt. saute well. add tomato puree and cook well. add ½ cup whisked curd. stir continuously. now add roasted mix vegetables and mix well. add ½ cup water and cook for another 10 minutes. 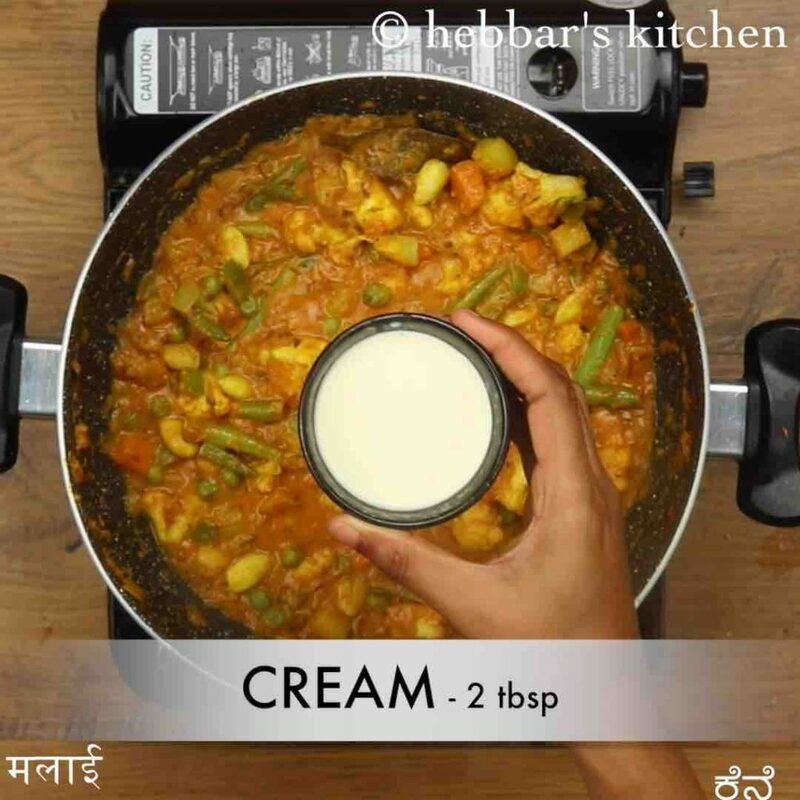 turn off the flame and add 2 tbsp cream, 1 tsp kasuri methi and 2 tbsp coriander. mix well. finally, serve mix vegetable curry / mix veg recipe with hot roti. 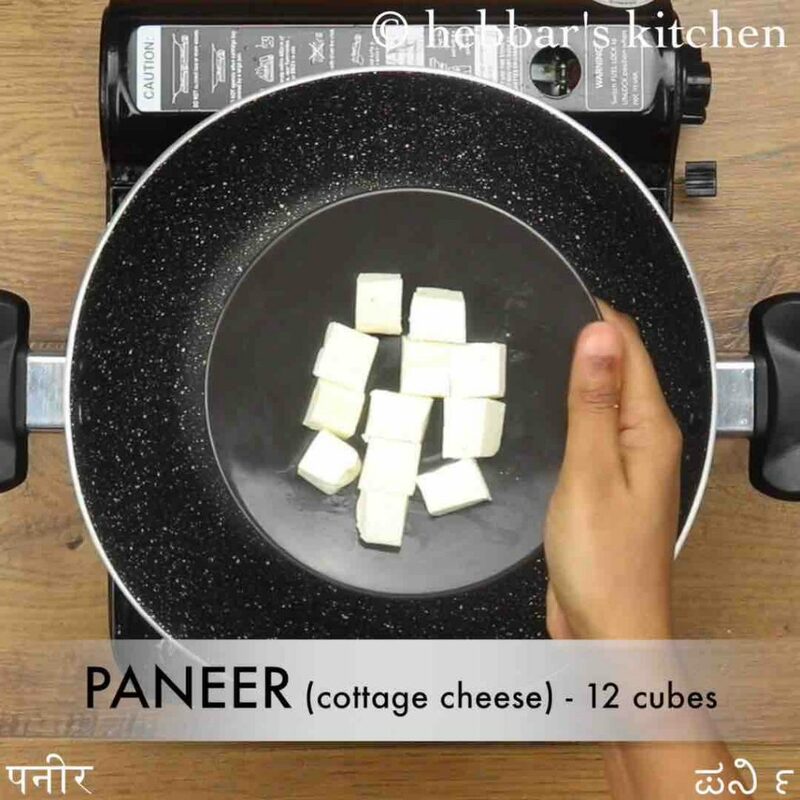 firstly, saute 12 cubes paneer in 3 tsp of oil, and keep aside. 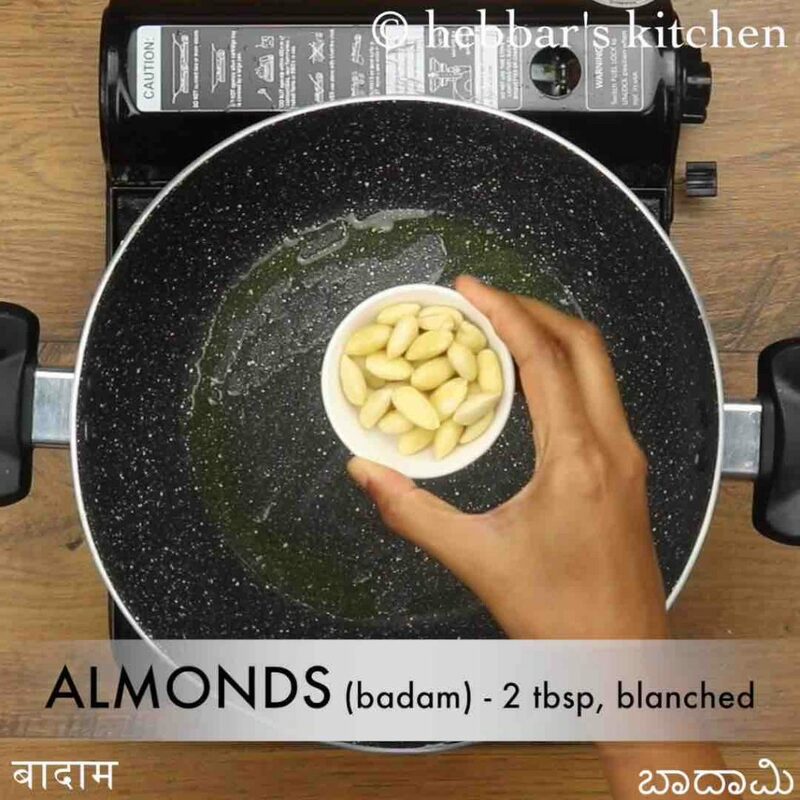 in the same oil saute 2 tbsp blanched almonds till they turn golden brown. 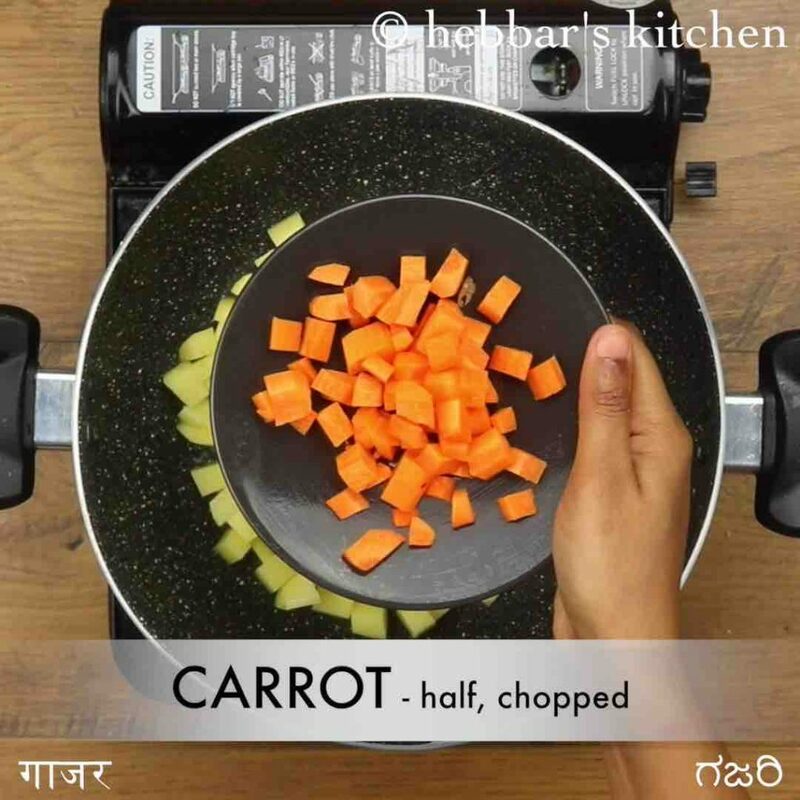 further, add 1 chopped potato, ½ carrot and saute for 3 minutes. also add ½ cup cauliflower, 4 beans and ¼ cup peas. saute for another 3 minutes. now add ¼ capsicum and continue to saute for another minute. keep all the vegetables aside. 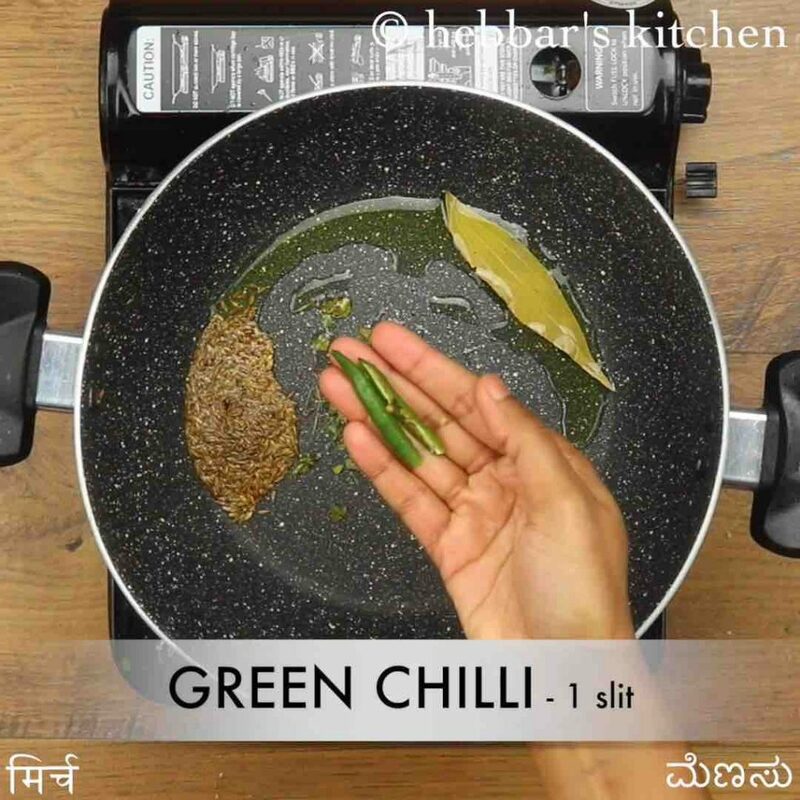 now prepare the curry by heating 4 tsp oil and saute 1 bay leaf, 1 tsp cumin, 2 tsp kasuri methi and 1 green chilli. saute 1 onion and 1 tsp ginger garlic paste till they turn slightly golden brown. 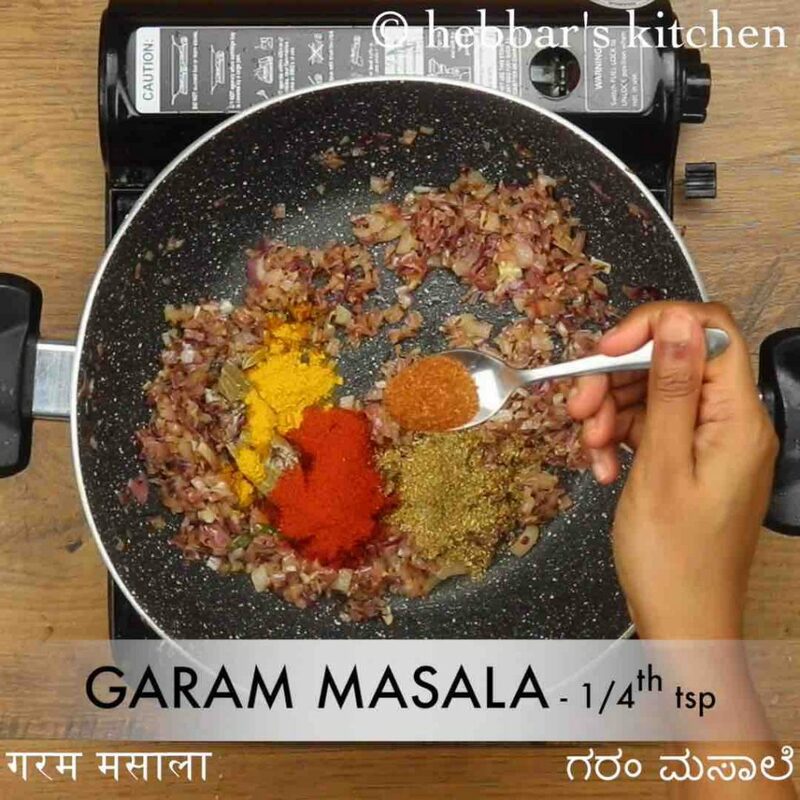 further add ¼ tsp turmeric, 1 tsp red chilli powder, 1 tsp coriander powder, ¼ tsp garam masala and 1 tsp salt. saute for a minute or till spices get cooked completely. 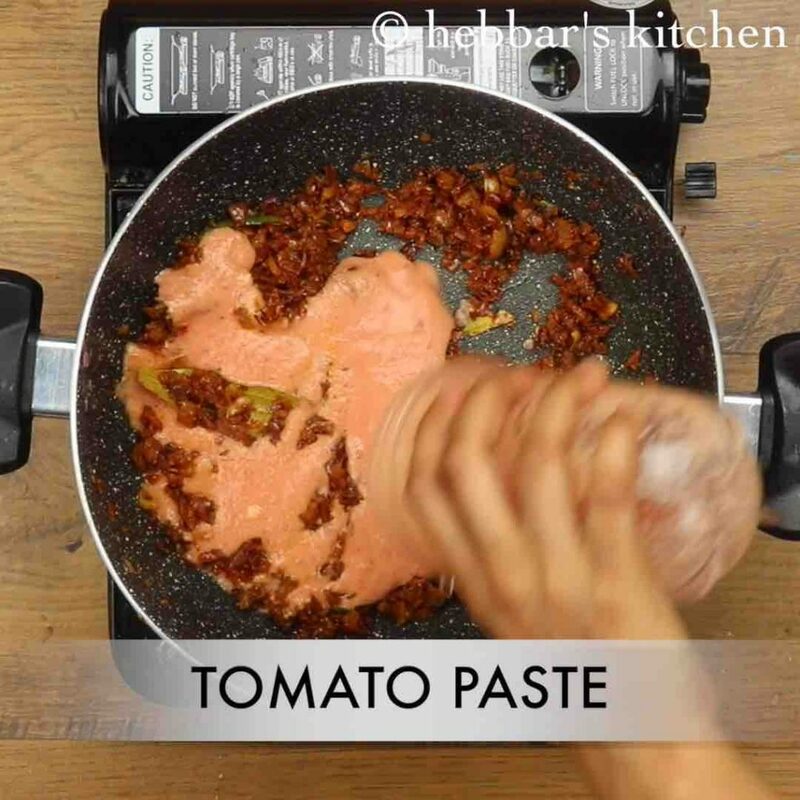 now prepare tomato paste by taking 2 chopped tomato in a blender. also add 1 inch cinnamon, 5 clove, 2 pods cardamom and 12 blanched almonds. 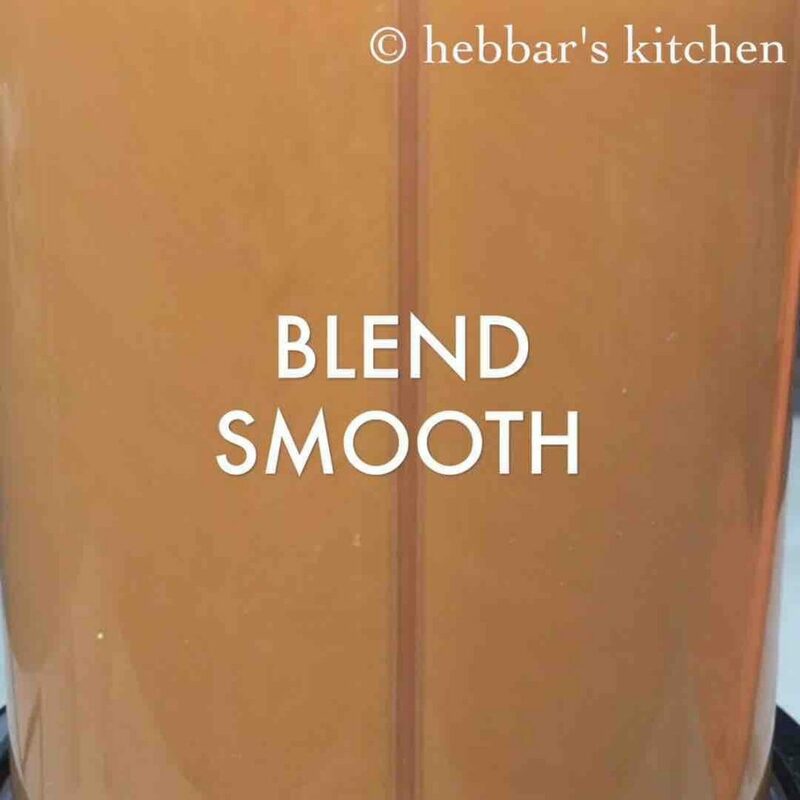 blend to smooth paste without adding any extra water. 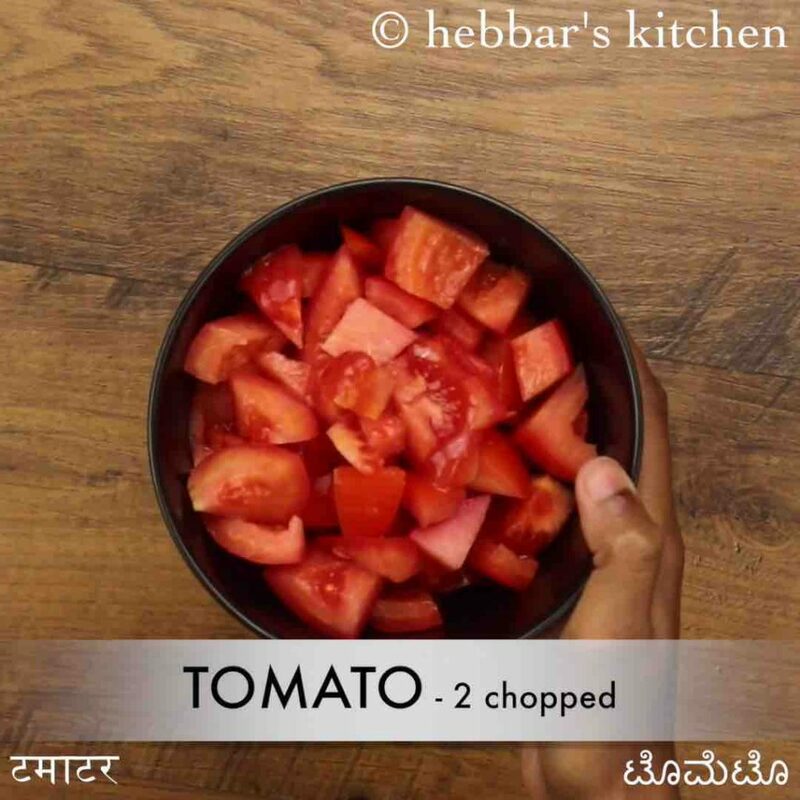 transfer the prepared tomato puree to kadai and mix well. 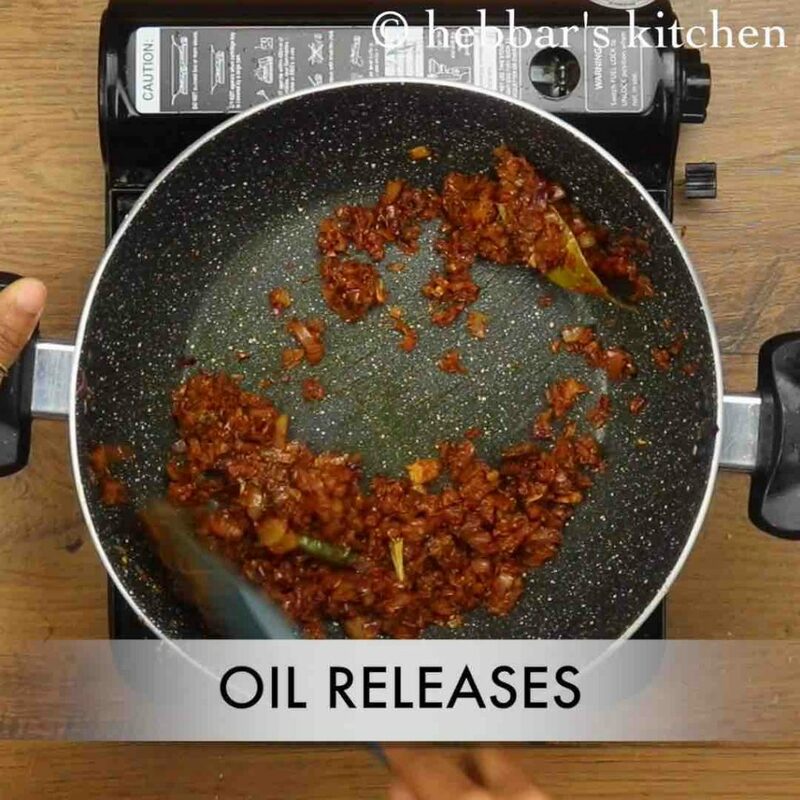 cover and cook for 5 minutes or till oil is released from masala paste. lower the flame and add ½ cup whisked curd. 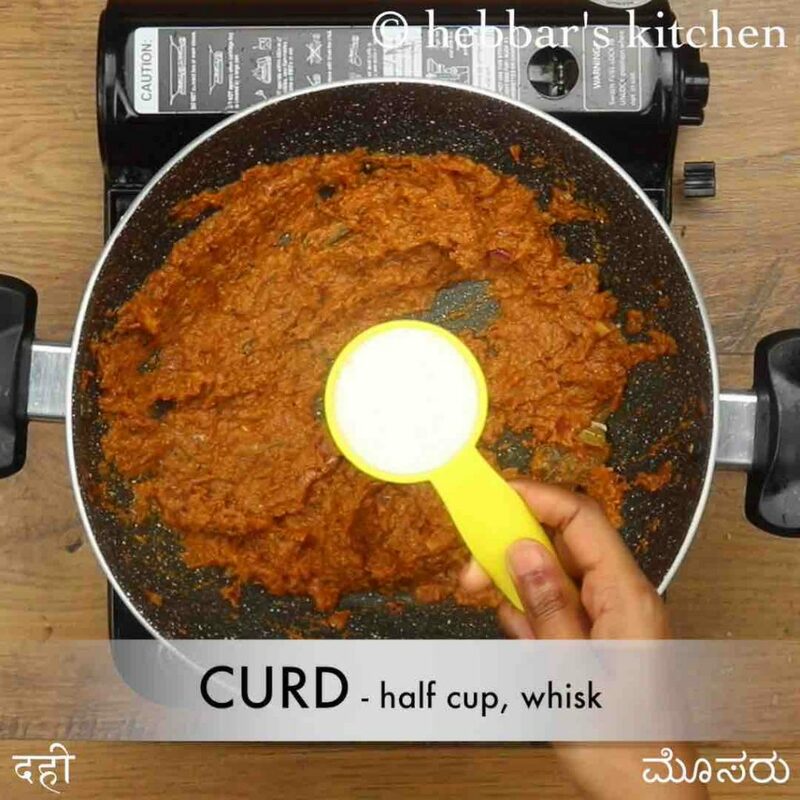 stir continuously, without allowing curd to curdle. now add in roasted mix vegetables and mix well. add ½ cup water or as required and mix well adjusting consistency. 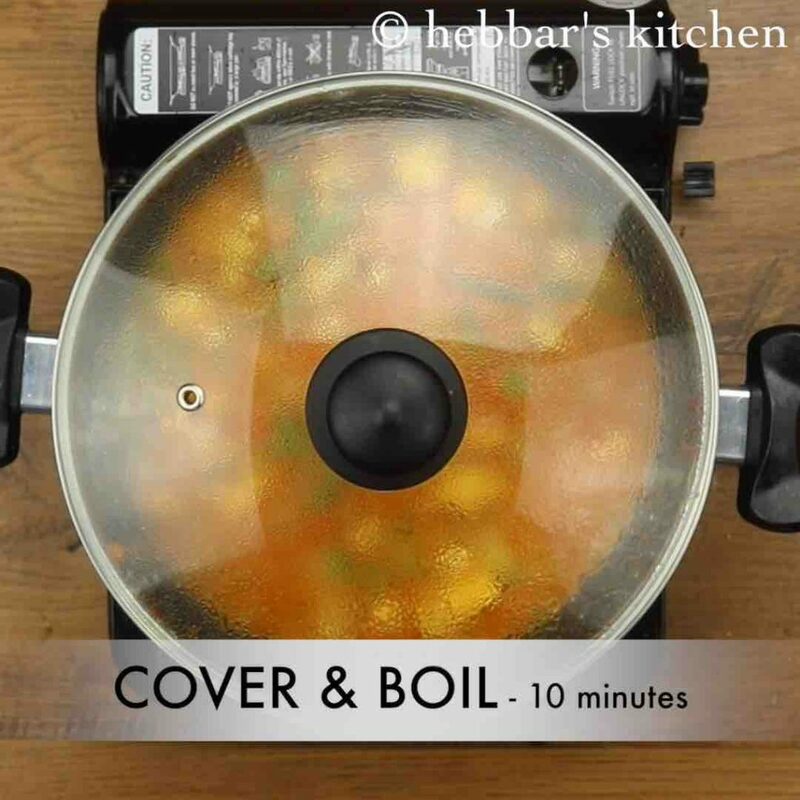 cover and continue to cook for another 10 minutes, or till vegetables are cooked completely. firstly, add vegetables of your choice like broccoli, mushrooms or beetroot. also, roasting vegetables will enhance the flavour, however to reduce the oil, steam / boil the vegetables. 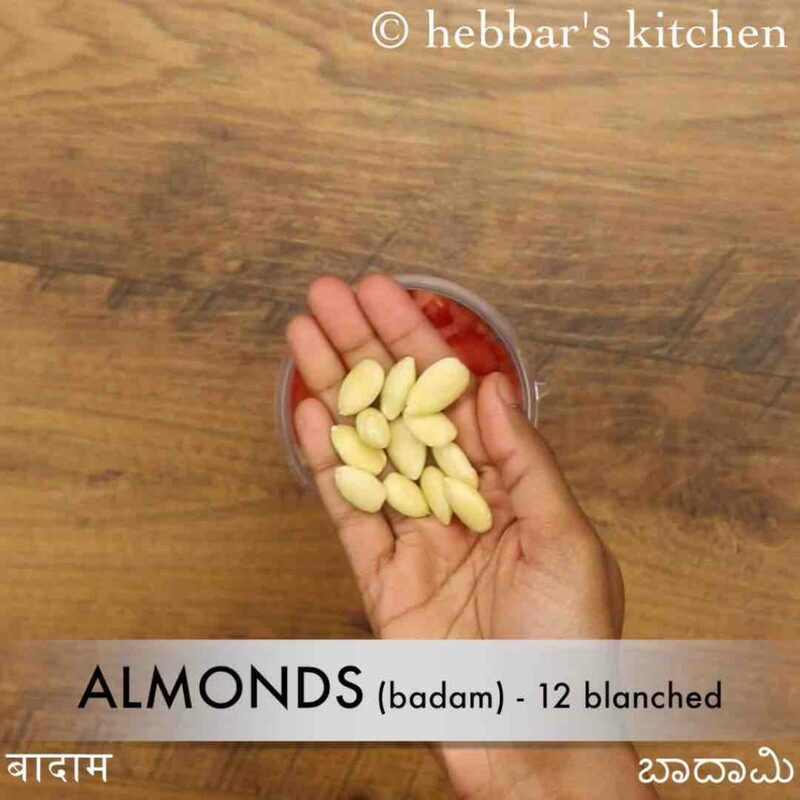 furthermore, replace almonds with cashew for creamy texture. additionally, add whisked curd to prevent curd from curdling. 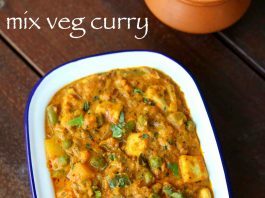 finally, mix vegetable curry / mix veg recipe tastes great when prepared slightly creamy.